Stripes! This popular and well-tried design aesthetic conjures up a feeling residing somewhere between seaside luxury and outdated melancholic faded wallpaper. The good news is, stripes are a timeless and enduring decorative home feature that show no sign of slowing in their popularity or admiration. But how to incorporate this age-defying and versatile print? Simplicity is generally the key to striped success—overdoing this pattern (or any pattern for that matter) can cause a design upset and induce a fundamental flaw within your interior décor. Avoid any nautical nightmares or stripy maritime misadventures and ensure you create a space that enhances this bold pattern choice by integrating it smartly and carefully. Time to earn your design stripes—take a look at the following examples below, an incorporate a little sophisticated linear motif into your abode to reap the stylish rewards. Are you looking to infuse a sense of elegance and sophistication into your abode? Perhaps you want to ensure you home is a good balance between tasteful and stylish? 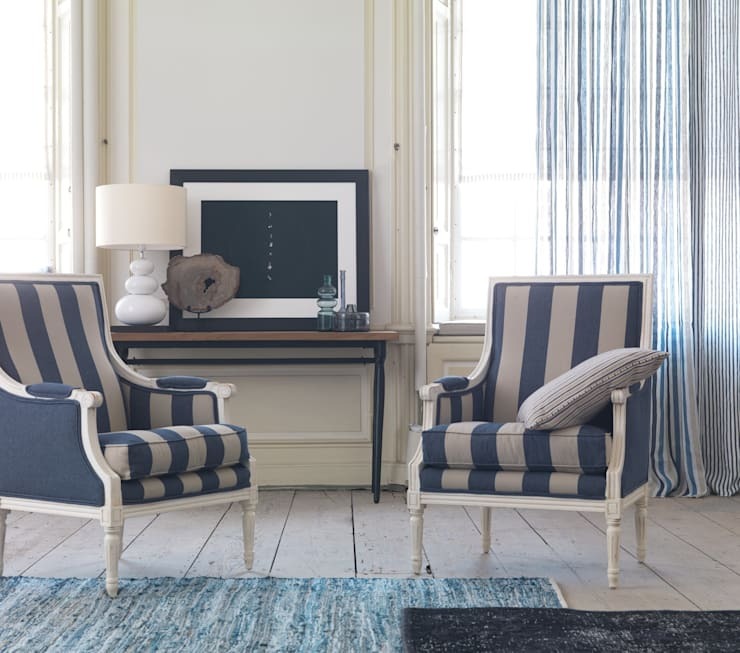 Take a look at this interior—replete with elegant seating, upholstered in an age-defying navy and French grey stripe, this room is the perfect combination between timelessness and up-to-date style. For this set up in your own domestic space, simply add raw whitewashed timber floorboards, sheet striped curtains, elegant upholstered chairs and a contemporary painterly rug. When infusing stripes into your home décor, there are many options and different styles to choose from. This example illustrates an entranceway that utilises a simple and thin striped pattern to create interest within the space. If you wish to use a carpet or floor covering such as this, remember to keep your wall and ceiling colour fairly neutral, as the carpet will inject the vivacity and allure. 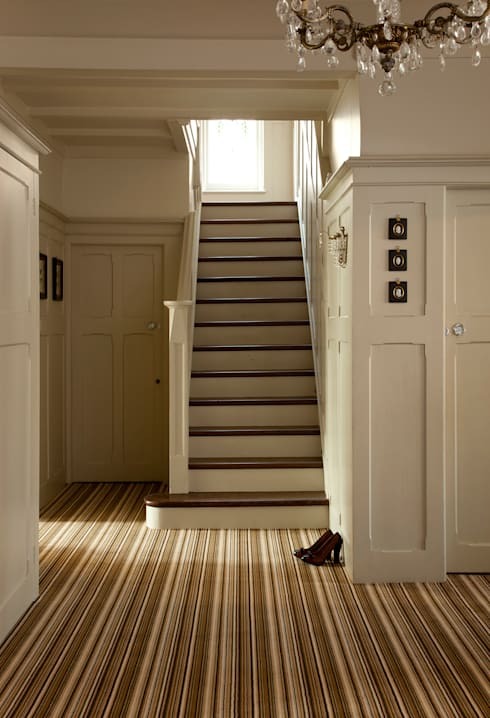 A staircase runner is an essential if you have a large amount of foot traffic up and down the hallway. In order to protect and ensure the life of your timber staircase, consider a runner. This striped runner injects the entrance with a sense of life—the crisp white walls are neutral and fresh, while the stripes evoke a sense of vivacity and movement. 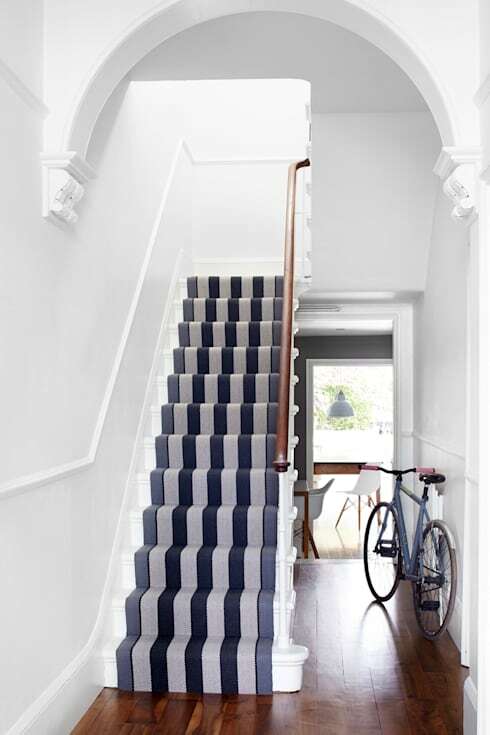 Pair your stark white walls and staircase with a dark timber floorboard, and a colourful staircase rug, for a well-decorated and thoughtful space. 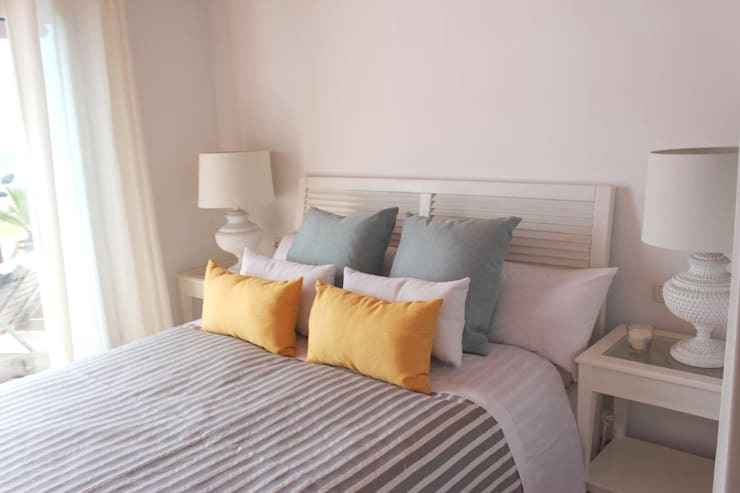 Bed linen is one of the best ways to give your sleeping space a boost of life and a hint of colour. Take these sheets for example, the delicate yet visible stripe injects a sense of nautical seaside charm, and is perfectly coordinated with the apricot, and duck egg blue cushions. To replicate this style in your own domestic space, choose a delicate striped pattern, muted or pastel accessories, and a good helping of white furniture. There are many different ways to use a stripe pattern within the home, and this is one of the most successful. This wallpaper is elegant, tasteful, exciting and playful—the two tone stripe brings a sense of interest and liveliness into the space, while the colourful yet stylish seating reflects the bubbly spirit of the room. 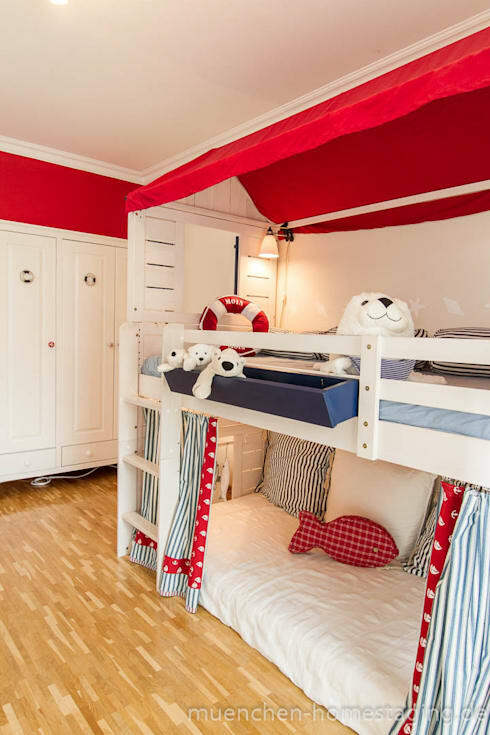 This ideabook wouldn’t be complete without mentioning how a child’s room can be smartly decorated with some seafaring stripes. This bedroom is exciting, bold and enjoyable—from the nautical and maritime aspect of the décor, to the orderly practicality of the design, this room is smart, stylish and entertaining. Infuse a little dreaminess and adventure into your little one’s room with a white bunk, striped curtains, red feature wall, and plenty of marine soft toys. Follow the lead of this design, and you will have created a buoyant bedroom, as well as a sprightly and charming play space.